Every language in India withstands a void of reflective literature that flaunts the age old cultures, ideologies, systems, historic events and lifestyles of our ancestral era that can inculcate in us an intense sense of patriotism and discipline. Kannada literature is no exception to that. With an intention to fill the void and incorporate respect and love for Kannada traditions in the hearts of Kannadigas, Rashtrotthana Sahitya was incepted. Release of ‘Ranaveelya’, a collection of stories about the brave warriors of India on the occasion of Geeta Jayanti on December 5, 1965 marked the beginning of literary publications. The work was collected by Shivaramu. A total of over 250 books have been published so far, including Rashtrotthana Sahitya and Sahitya Sindhu. 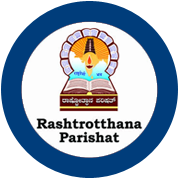 Rashtrotthana Sahitya also holds the reputation of being chosen for various state level literary awards and incorporated as study materials at various levels of formal education in the state. ‘Swatantra Yodha Aravinda’ (Aravinda the Freedom Fighter) was in fact a study text for the courses of BA and B.com at the Bengaluru University. ‘Utkarshapatha’ a book bagged the Siddhavanahalli Krishna Sharma Memorial Award. Celebrating the 150th birth anniversary of Swami Vivekananda, a publication named ‘Yeli, Yeddeli’ (Arise, Awake) hit record sales of 40,000 copies at a 73% discount rate all around the state. Till today Sahitya Sindhu published 118 books both in Kannada (103 books) and English (18 books). Shatavadhani Dr. R Ganesh, at the book release ceremony of ‘Navotthanada Adhvaryugalu’ and ‘Bharatadallondu Sunkada Beli’. The post-independence era saw a decline in the intensity of literature in the country, as well as the state. The patriotism that was widespread before independence gradually witnessed its own demur. While authors like Kuvempu, DVG and Shivarama Karantha, who hailed from the pre-independence era propagated the same kind of ideologies in their literature, few others like Kaiyyara Kinnyanna Rai propagated modernism. However, the ideal that patriotism is the root for understanding of other ideologies diminished after independence. It is easy to lose a trend, such that prevailed within the literary world in the pre-independence era. It is, however, difficult to reconstitute the same ideologies yet again. Hence when Rashtrotthana Sahitya incepted in 1965, the conditions required us to practically start from scratch. The number of writers who could produce intensive work was just a handful. Chances of finding writers who could write with a patriotic spirit as the foundation of their work were even weaker. Nor were there models of literature to build upon, we had to build our own models. Publication and marketing of works was a bigger challenge that we had to deal with later. We set foot into accomplishing the task nonetheless. Learning from experience and executing by trial, we have grown to become what we are today. The publications were all about revolutionary soldiers, freedom fighters, unsung heroes of Indian independence, Shivaji, Veer Savarkar, PN Oak stories, Bharata-Bharati series, etc. These publications gave Rashtrotthana Sahitya an identity of its own. More so, they gave the ideology and zeal at Rashtrotthana Sahitya an identity of its own. We brought into the world of a literature, what could be called ‘celebrity value’. A number of people that could easily be considered a ‘record gathering’ arrived to book release events hosted by Rashtrotthana Sahitya. The publications reached every corner of the state even without the support of commercial distributors. What is more important is the fact that Rashtrotthana Sahitya succeeded in creating a brand value for patriotic literature. It wasn’t just the books about freedom fighters and revolutionaries. The brand value creation process was accompanied by books that reflected contemporary ideologies by H V Sheshadri and Ramgopalan, Ramayana by Balashastri Haradasa, etc. 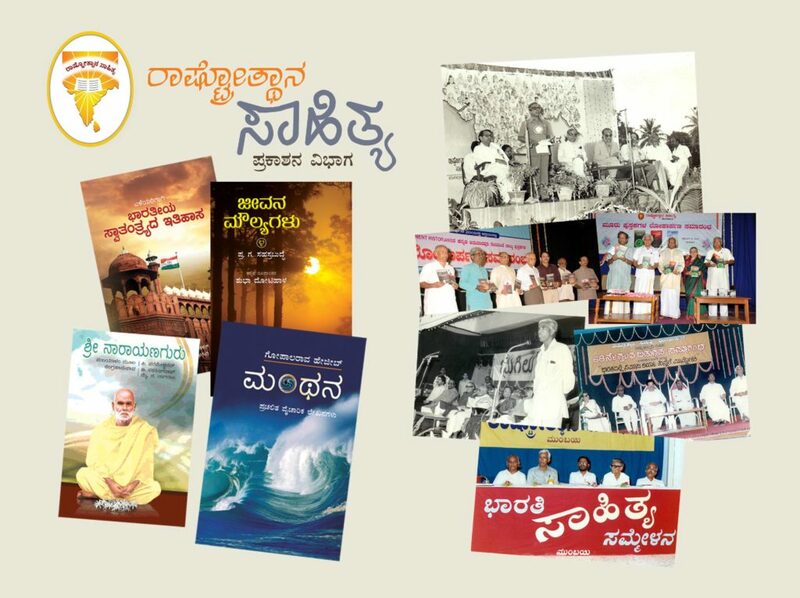 The Bharata-Bharati series and ‘Bhugilu’ publication turned out to be milestones in Kannada literature. Other smaller books on the other hand managed to create identities of their own amongst different categories of readers, such as ‘Shatamanada Tiruvinalli Bharata’ and ‘Bharatadalli Samaja Karya’. The publication about Dr. B R Ambedkar namely ‘Samaja Chikitsaka Ambedkar’ was made a supplementary reading material at a number of universities. The Government appointed committee headed by D B Kalmankar’s that laboured towards reconstructing the life story of Netaji gave up their task after Rashtrotthana Sahitya published ‘Kolminchu’. The ‘Personality Development’ series experienced a similar kind of response. The personality development series formerly brought out by Rotary and Lions widely propagated ideals such as scoring high in examinations and obtaining a job with high payscale. Rashtrotthana Sahitya comprehended this kind of lifestyle training to be extremely narrow -minded. Hence in 1987-88, M.C Jayadev’s suggestion to take up the lifestyle values of Sahasrabuddhe was acknowledged and a series of publications were brought out. The response that the series elicited ensured us that the audiences have a profound taste for books that propagate life skills. The series has seen over 25 publications so far.